So you’re looking at small sedans and wondering which one is for you? Well, the small sedan segment is a heated one, with many entries from Ford, Honda, Toyota and more. Let’s take a look at two of the biggest entries: the Ford Focus and the Honda Civic, and help you figure out which of the two is the best vehicle for you. Horsepower, Torque 160 HP, 146 lb. ft. 158 HP, 138 lb. ft. The Focus is well-known for being an all-around great city car and this year it’s been nominated for the 2016 Driver’s Choice Best Car on a Budget. You get the brand-new Sync 3 technology interface, and the EcoBoost engine gives you more low-end torque, while nearly matching the fuel economy of a more everyday vehicle. The Focus is as responsive and fun-to-drive as any performance vehicle. The Honda Civic has evolved with new looks and features while maintaining what’s made is such a popular choice among Canadians. 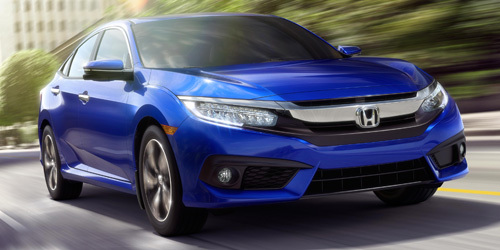 There are models that provide excellent flexibility and maximum economy, and the Civic’s new CVT (continuously variable transmission) makes it more efficient than ever. 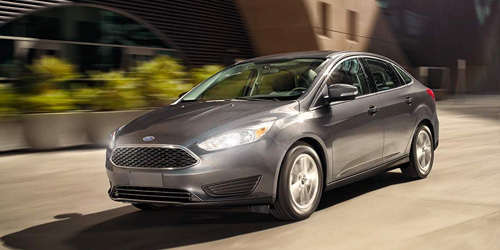 The Focus has a comparable MSRP, and just gives you more options and arguably better value. You can go with a hatch varient for an ultimate city vehicle, or a sporty varient to compete off city streets. And unlike Honda, Ford did not discontinue production of their electric model. The engine options are similar and although the Civic has greater fuel economy, you’ll get more oomph and power out of the Focus, with considerably higher torque. You’ll also love the infotainment system with the Focus, being updated from last year. Reviewers are also commending the Focus on being especially fun to drive, with better handling and agility than with competitors. And for newer drivers, the Focus shines brightly; the Park Assist feature make parallel parking a breeze.